This is a 52-minute excursion into the previous seven series and you will need popcorn, chair, and breaks as required. I feel like I’m reviewing for my end of year exam for my college classes. Dan Murrell takes you through everything yes EVERYTHING you need to know from the first 7 seasons of Game of Thrones before watching the final episodes in season 8! 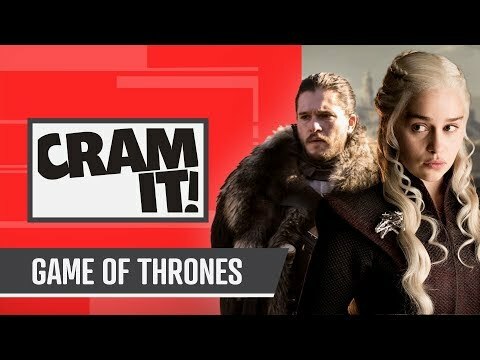 It’s CRAM IT for Game of Thrones – the entire series!